How To Make Money Online With MilesWeb Affiliate Marketing? Affiliate Marketing has grown due to the World Wide Web. But, the concept is invented way before the internet. Traditionally, the only source to promote your product was by word-of-mouth. This was when a new boutique owner used to give you a commission for referring your friends to buy clothes from the owner’s store! This literally increased the sales of the owner. With the internet, affiliate marketing has increased tremendously because one can find tons of products online. What points should be considered while doing Affiliate Marketing? How to do Affiliate Marketing? Want to start your Affiliate Marketing? Affiliate Marketing is a form of marketing where you can refer other company’s products to your customers and earn commission from the sales. 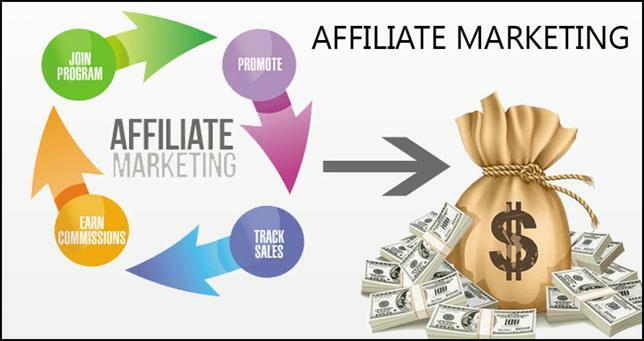 Affiliate Marketing is a strategy by which online retailer pays commission to other blogs, websites, articles for the traffic and sales generated through its referrals. If you will search on Google you will get many affiliate program such as web hosting affiliate program, eCommerce and many more. 1) Talk to other Affiliates: Take the first step by taking advises from other affiliates. Ask them your doubts, how they started, what is their ‘mantra’ to success, so on. The more knowledge you gain the more tactics you learn. Focus on self-learning via reading, watching videos. 2) Decide your niche: Don’t get confused by the availability of the products online. Because products are going to get added everyday, confusing you more and more. So, it is advisable to select a niche for you. Do self-analysis, find out your interest in a product, try to relate to the product and gain the product knowledge. For e.g., Website developer or programmer can look out for top web hosting companies, on the other hand, a Food blogger can look out for Food processor companies. 3) Choose your Merchant carefully: Find out the credibility of your merchant. Read carefully all the terms and conditions before shaking hands with merchants. Look out for any hidden charges and don’t hesitate to clear your doubts. Check for customer support program. Some merchants provide 24*7*365 days support and so, this can be the best option for you. 4) Learn How to Advertise: Try not to advertise your products like a salesperson who forces you to buy a product or service from him. Think from an Affiliate Marketer’s point of view. Educate people about your offerings and make them feel connected with your products. Write content which can get you more clicks. After doing a prior study you should consider doing Affiliate Marketing. In order to start your affiliate marketing, you should have your own website, blog or article from which you can promote your product or service to your audience. Focus on high-quality content and information for your readers. Invest time to make easy to navigate website. You can use CMS like WordPress, Drupal, Joomla to build beautiful websites. Next, you will have to select an affiliate program and then select your product you want to sell. The owner of the product will provide you a link which you can share to promote the product. Every time when the sale is made through your link you earn commission from it. In order to make money through affiliate marketing make sure you market to the appropriate people. Always monitor the visitors on your site, blog and what interests them in you? Try to use impressive banners supporting your ads. Track your record: Pay-Per-Sale helps you to track your record. Merchant will pay you a certain percentage of the amount if the sale gets generated from your link. Attract more visitors to your Affiliate Program. Start your campaign and monitor it regularly. Build good relationships with your partners. Offer quality based products or services rather than quantity based. Learn new techniques and methods. Stay up to date about your offerings. Word-of-mouth is a traditional way of doing affiliate marketing and it is still into existence. But nowadays as everything is getting digitalized online platform proves to be a more appealing one. It’s an effective way to create a snowball effect on your product. The lovechild of the internet is social media which comes in different forms such as blogs,photo-sharing platforms like Instagram or Pinterest, business networks, chat apps like Whatsapp or Snapchat, Facebook, microblogging platform like Tumblr, etc. 81% of the world’s population has a social networking profile. (a) Facebook and Twitter: People these days are sharing funny videos of their pets on Facebook and Twitter. Surprisingly they like to buy if an appealing offer comes out. (b) Website and Bolg: You need to add valuable content related to your niche to website or blog using your ‘keywords’ that someone uses to search about your niche. (c) Email: Always scan your emails as you may find emails from merchants or other marketers interested in your niche. You can ask your visitors to provide their mail id on your website, blogs, articles so that you would be able to send them some additional information. This is promotional marketing. Email marketing builds a valuable relationship between you and your customers. Paid advertisements can be your last choice. Use them when you can see getting an ROI for your paid campaign. After gaining self-confidence you may like to start your affiliate marketing. After all, everyone wants an easy way to make money! 1) Sign-up with MilesWeb Affiliate Program. 2) Login to the affiliate portal and just select the banner or text link as per your website/blog. 3) Post the banner on your website or blog and start earning. What matters the most is the commission? So I have tried to showcase some of the commission paid by MilesWeb to their affiliates. Instead you can refer them and make a wise choice by joining MilesWeb affiliate program. Join the MilesWeb family with so many benefits and become an outstanding affiliate marketer.